Four days after skiing at Brighton after the big June 18th snowstorm I returned to Brighton to go for a hike to Sunset Peak, which at 10,648 ft is a beautiful peak and easy to hike to. I expected to trek through more snow but to my huge surprise the trails were for the most part free of snow and not even muddy. Ah, life in the mountains. Winter one day, back to summer the next. 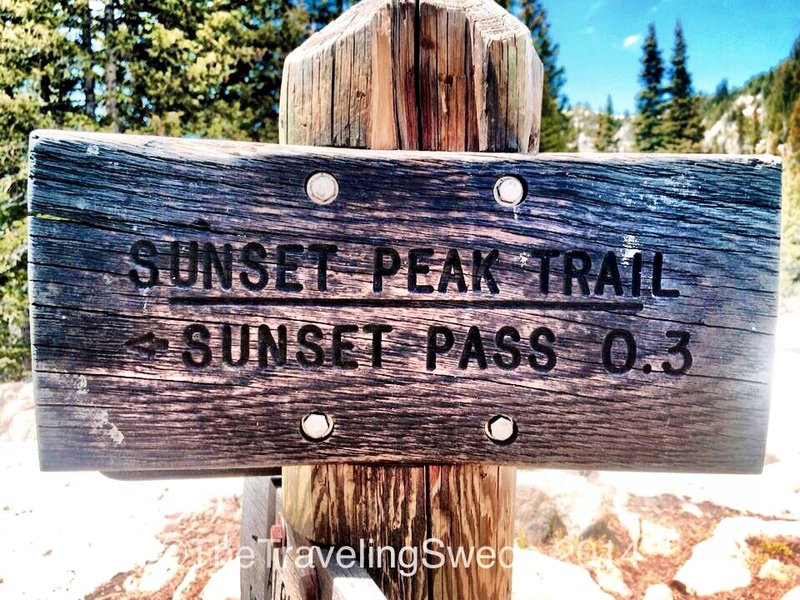 Sunset Peak can be reached from two ski resorts, Alta and Brighton. 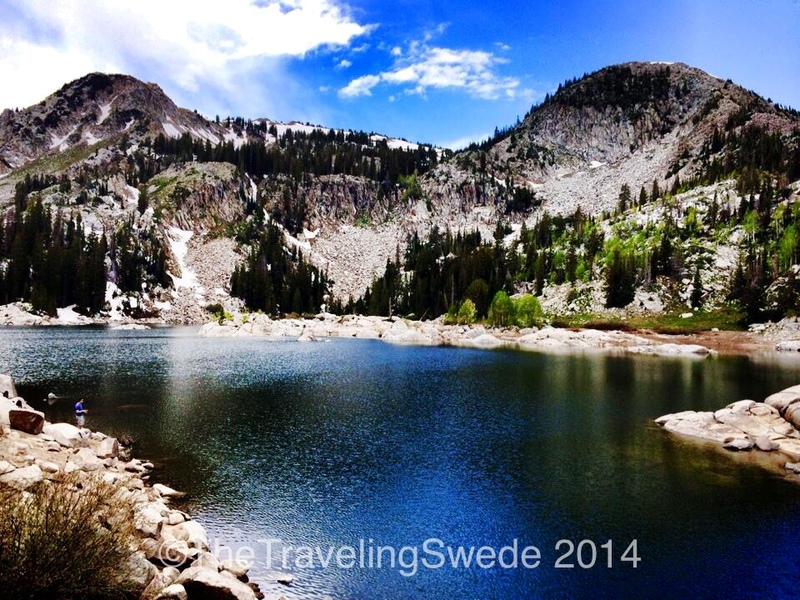 Alta lays in Little Cottonwood Canyon, while Brighton lays in Big Cottonwood Canyon. 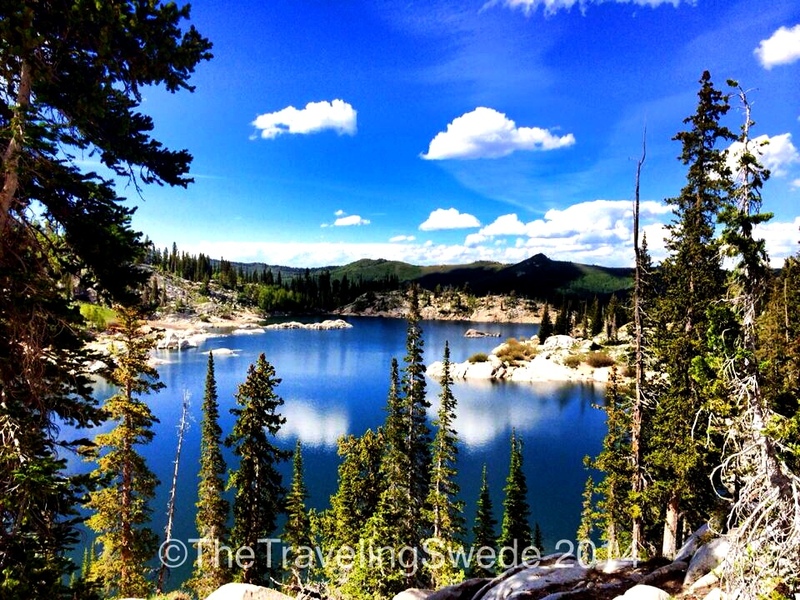 The hike from Alta is shorter (4 miles round trip) but the hike from Brighton is more scenic with three beautiful lakes along the route. 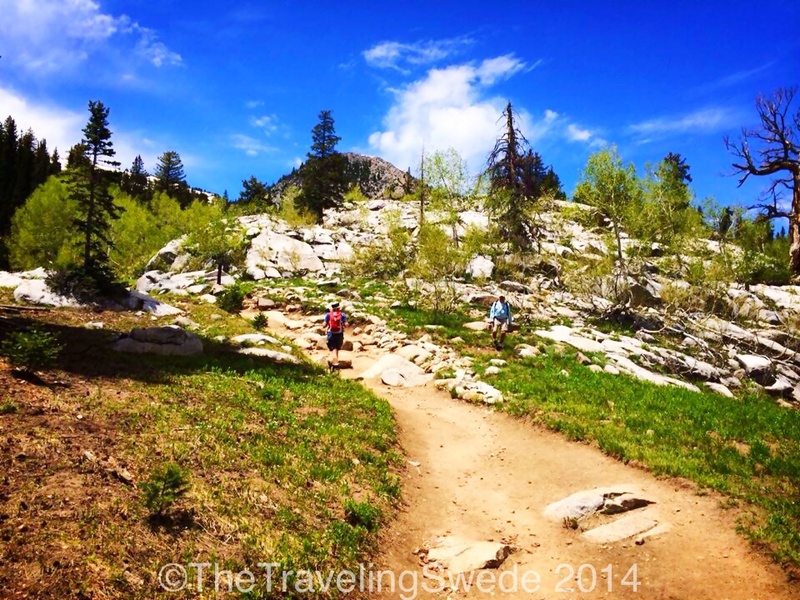 The hike up from the Brighton base (8,775 ft) goes along Lake Mary trail. 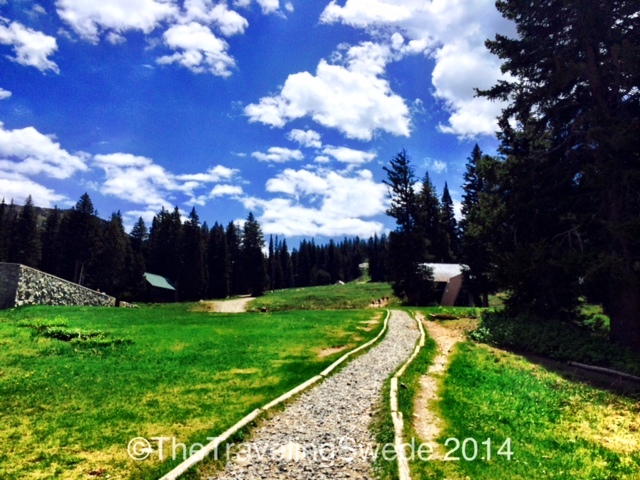 There’s a sign directing you to the Lake Mary trail just off the parking lot below the Majestic lift. 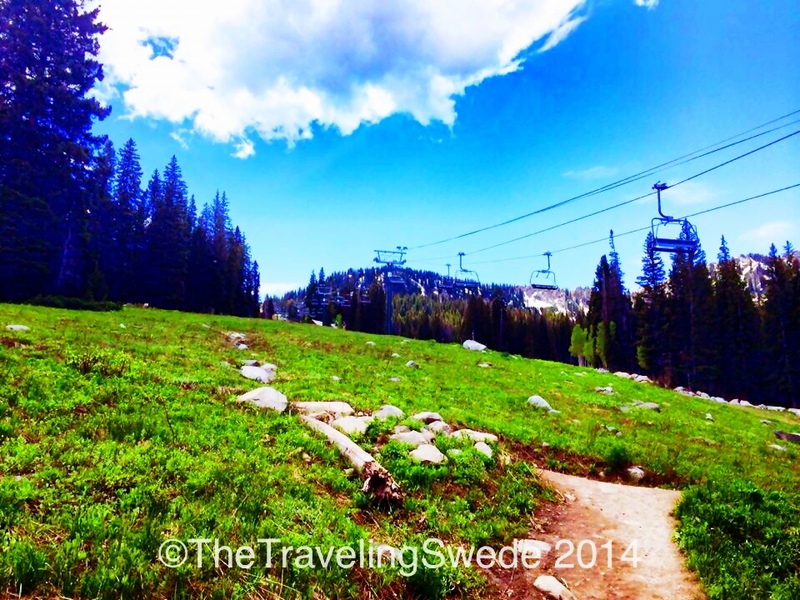 It’s a 1,873 ft elevation gain over 2.6 miles. The round trip of 5.2 miles takes about 3-5 hours depending on your physique. The first part of the hike gets your heart rate going. 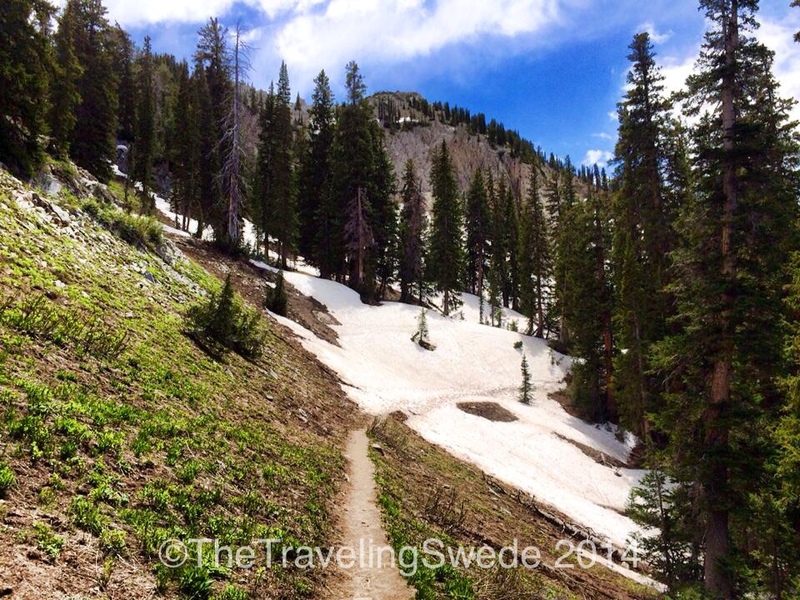 The trail to Lake Mary is plenty wide to walk side by side. 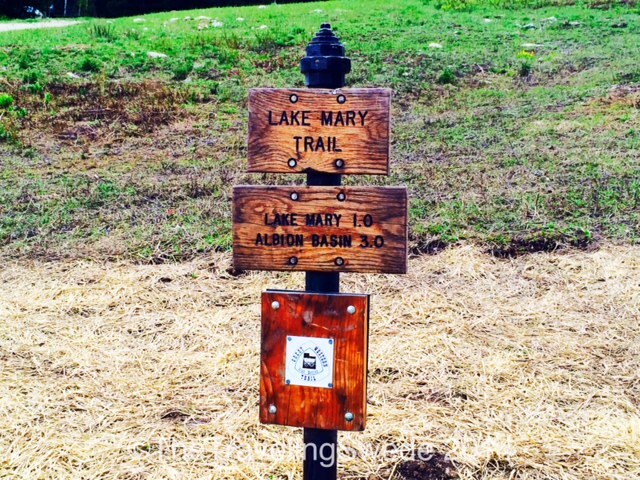 As you hike along the trail you arrive to your first junction where you will see a sign “Dog Lake 500 ft on the left and Lake Mary ¼ mile straight ahead”. There are two Dog Lakes in Utah. This one is not the one that dogs go play in as this canyon is a watershed area and no dogs are allowed, but rather a small pond. 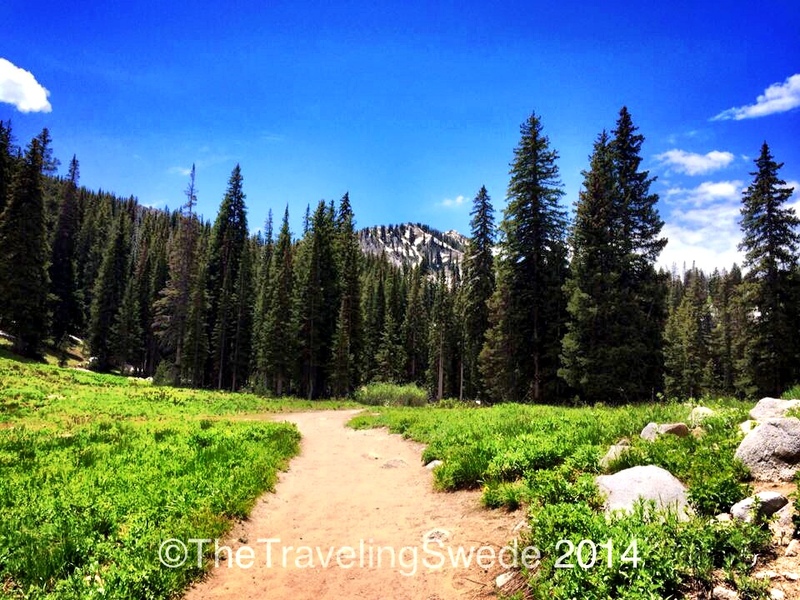 As you continue straight ahead to Lake Mary the trail gets a bit rockier but it’s worth the hike. 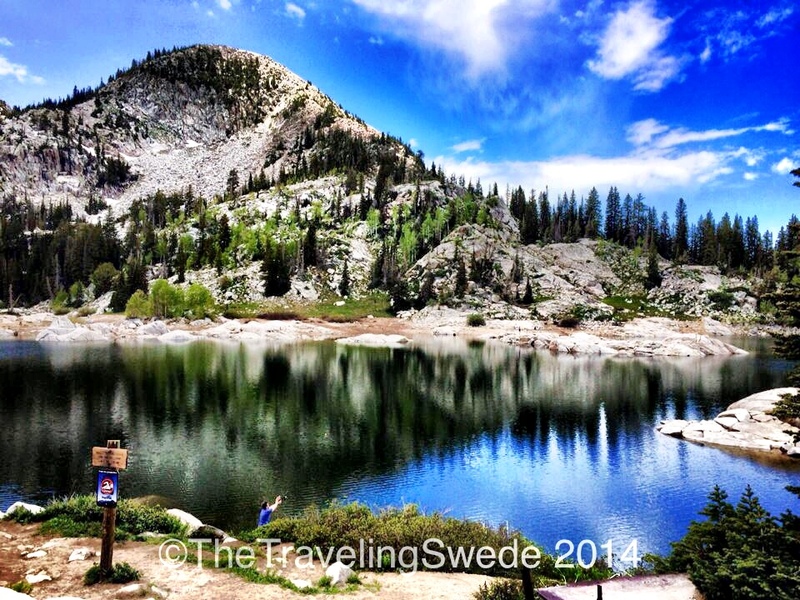 Lake Mary is stunningly beautiful. A great place for a picnic. It’s also a popular destination since it’s only a mile from the parking lot. For many this is the final destination and you won’t see as many people as you continue up the trail. Welcome to Lake Mary. Technically it’s not a lake but a man-made reservoir. The entire canyon is part of a watershed area so you are not allowed to swim in any of the lakes but you are allowed to fish. 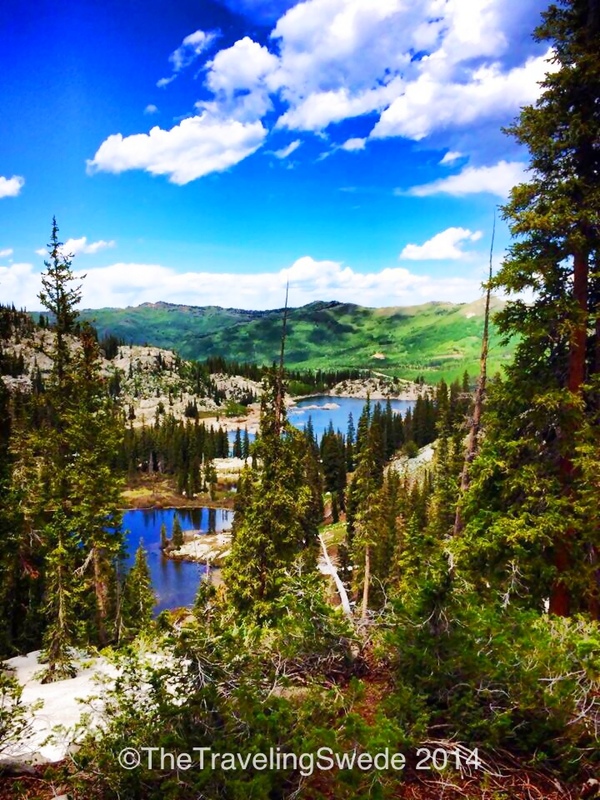 Isn’t Lake Mary stunningly beautiful? As you continue the trail you have Lake Martha (more like a large pond) on the right next to a large meadow. It’s not uncommon to see moose laying in the grassy meadow. After Lake Mary it’s single trail the rest of the way. 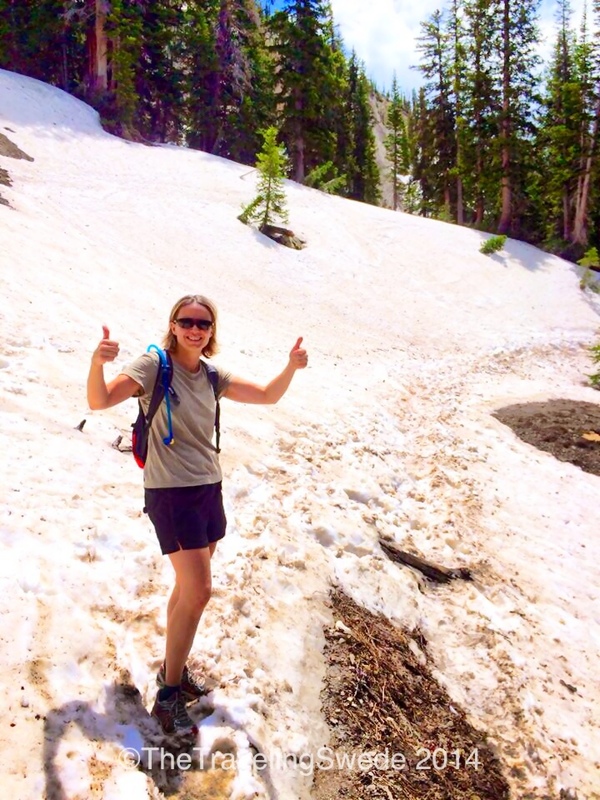 Always thumbs up when I’m around snow! As you keep hiking higher you get great views of Lake Martha and Lake Mary. After hiking single trail for a while you will run into a fork. There is no sign telling you that Lake Catherine is just a hundred yards down the left trail (you can’t see the lake from where you stand). 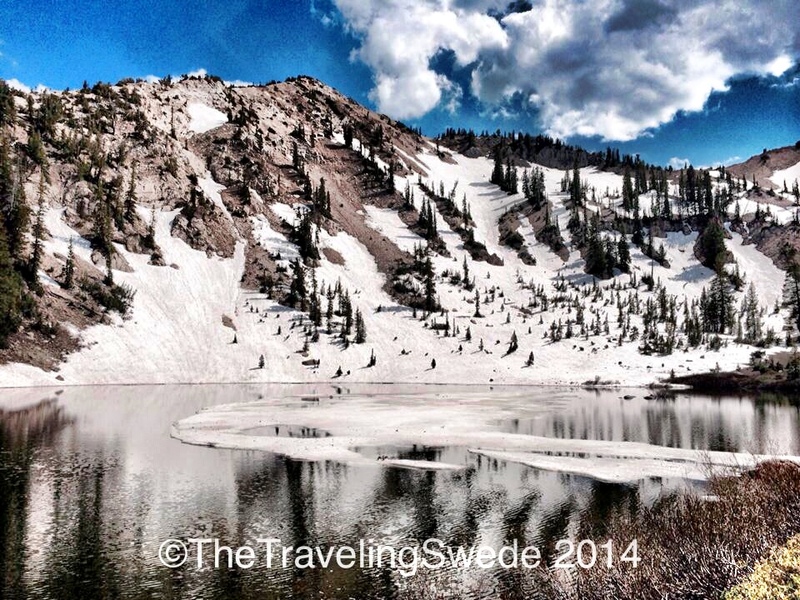 Lake Catherine is a beautiful lake with steep mountain slopes surrounding it. From there you can see Sunset Peak. You can then continue the trail along the lake and connect to the other trail but if you are unsure of where to go it’s easy to go back and connect to the main trail. Still some ice floating on Lake Catherine. In the winter this is a popular place for back-country skiing. From Lake Catherine it’s a short hike to a sign that says Sunset Pass 0.3 miles. 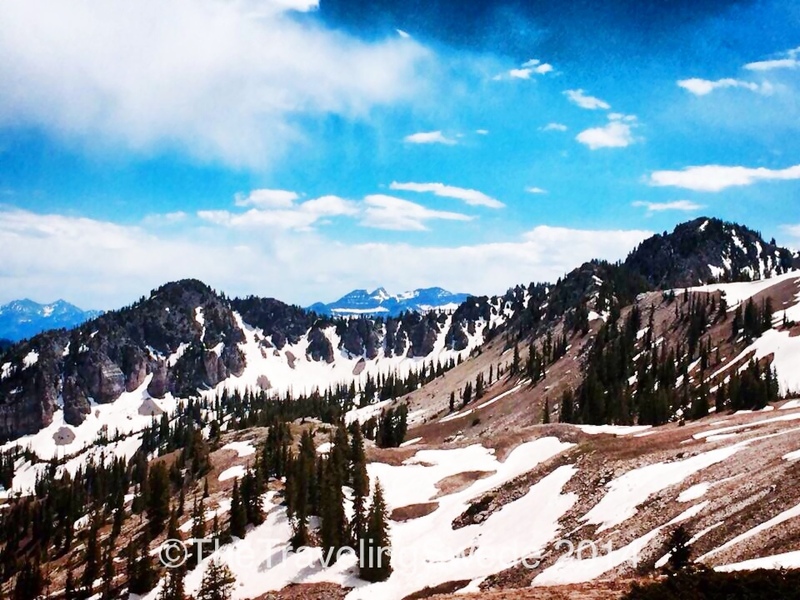 It’s also where the Albion Basin trail connects in from Alta. 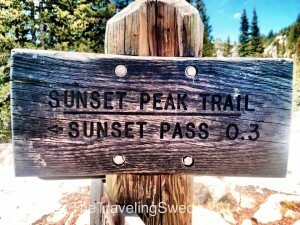 There are two trails to Sunset Peak. One on the left hand side of the ridge and one on the right. The one on the right is easier to navigate. This is where the trail connects in from Alta Basin. 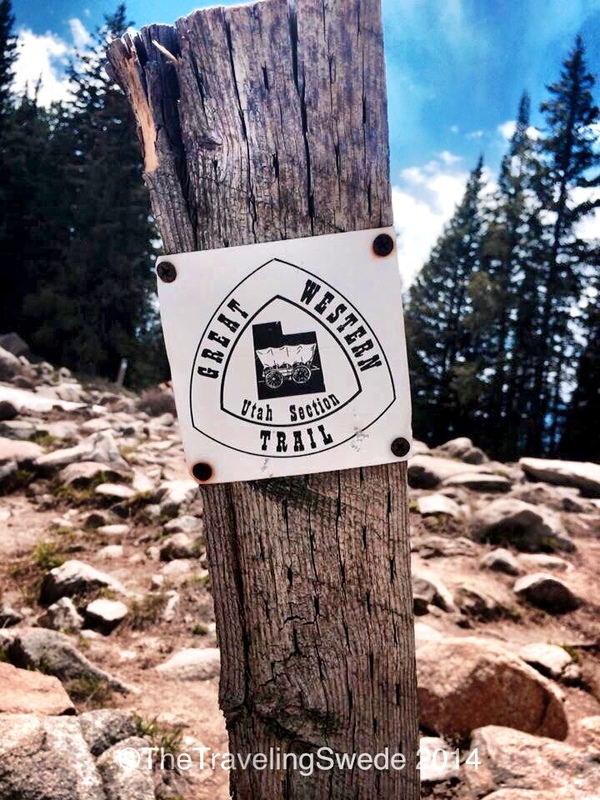 The trail is also part of the Great Western Trail which is a 4,455 mile long trail that goes through 5 states. Hiking along the ridge up to Sunset Peak that you can see straight ahead. Hiking along the ridge on the other side you can see Mount Timpanogos in the far distance which is the second tallest peak in Utah at 11,752 ft. When you are almost to the peak you can see Lake Catherine below. 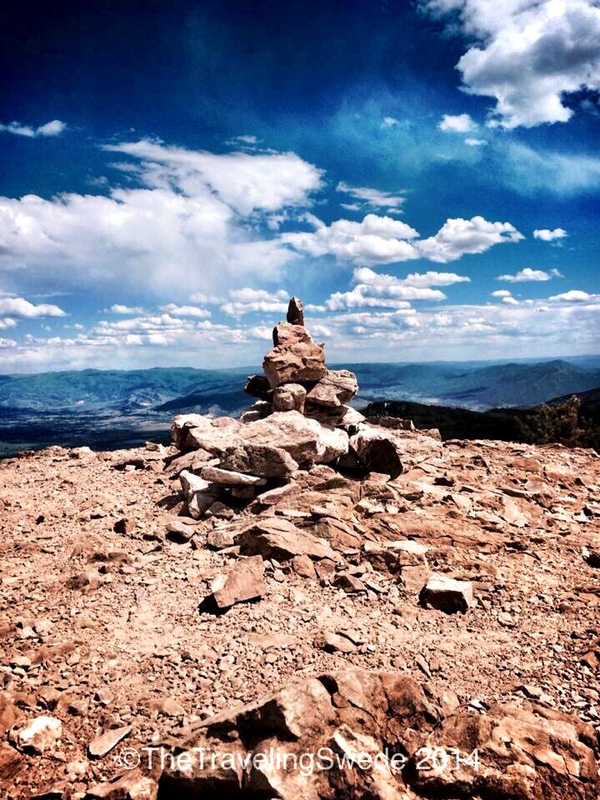 As you get to the peak you will be greeted by a small summit post cairn. It can be windy at the top so bring a jacket because the view is so stunning you will want to stay there for a while. Sunset Peak has a great 360 degree view of Alta, Snowbird, Brighton, Solitude, Guardsman Pass, Midway, Heber and Mount Timpanogos. Mount Timpanogos is a gorgeous mountain. To the peak it’s almost a 17 mile round trip and you gain about 6,200 ft in elevation. A great hike in the summer and fall. 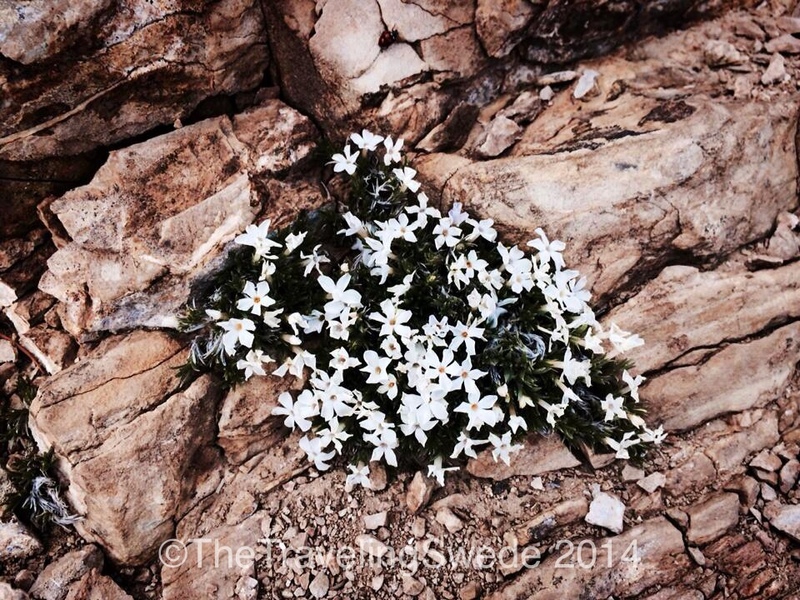 It always amazes me how desert flowers can thrive anywhere. I found these at the peak. After having lunch at the peak it was time to head down. 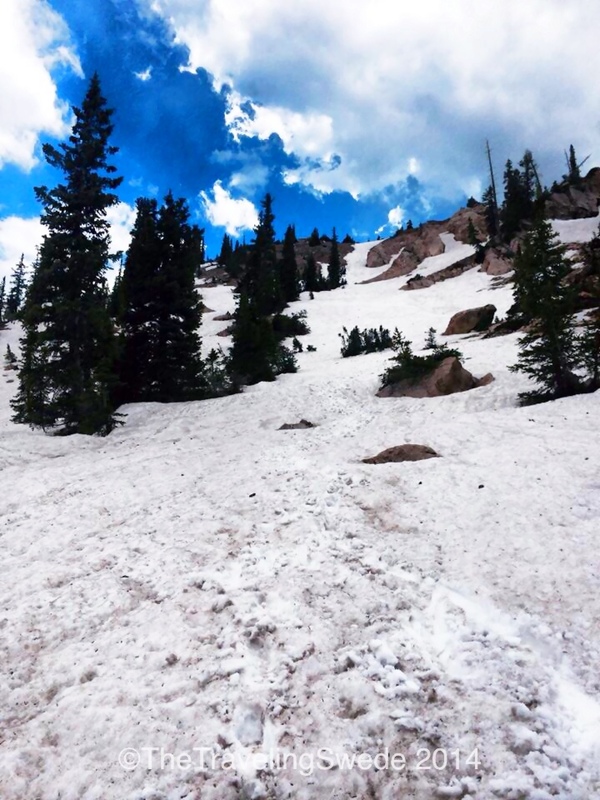 My friend who I was hiking with suggested we slide down the snow on our feet. It was just mushy enough you could slide but manage to stop. Not every day you back-country ski on your shoes! Wish I would have had my ski’s! But sliding down on your feet was a ton of fun too! Lake Mary in the distance. Lake Catherine (not seen) is more on the right. It was pretty steep as I was looking up to where we came down from. Never loose your childlike nature and always take the chance to be goofy and laugh. 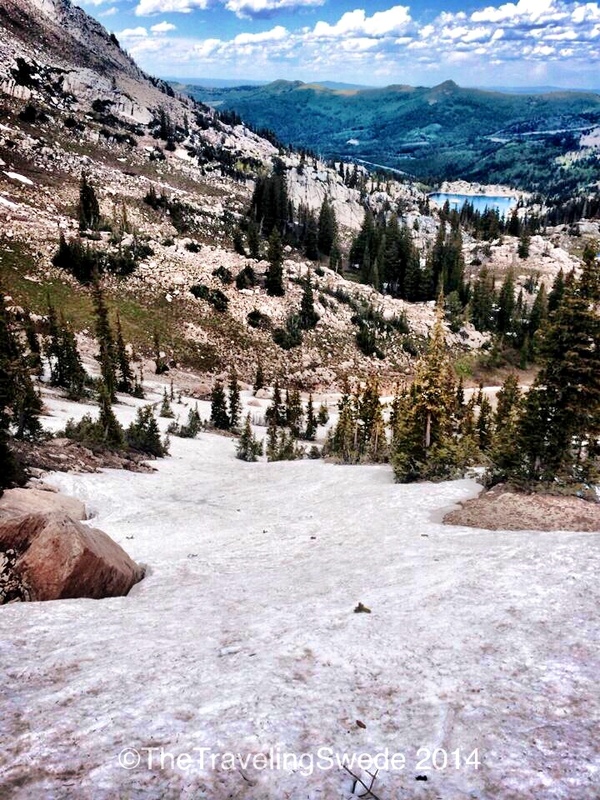 It was so much fun sliding down that snow! Another great view of Lake Mary coming back down the trail. 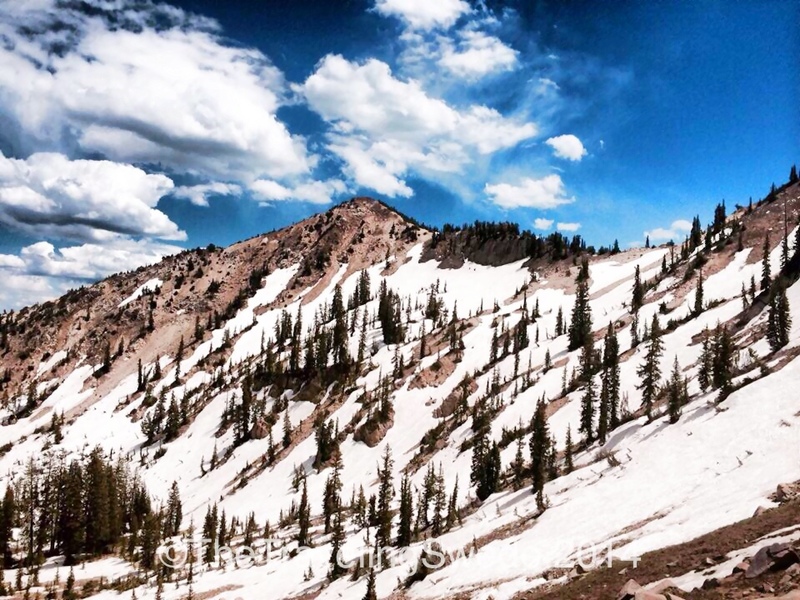 The hike to Sunset Peak is an out and back hike. So you get to see all the lakes again from a different view point. On the way down I put my camera away and just enjoyed capturing things with my eyes. 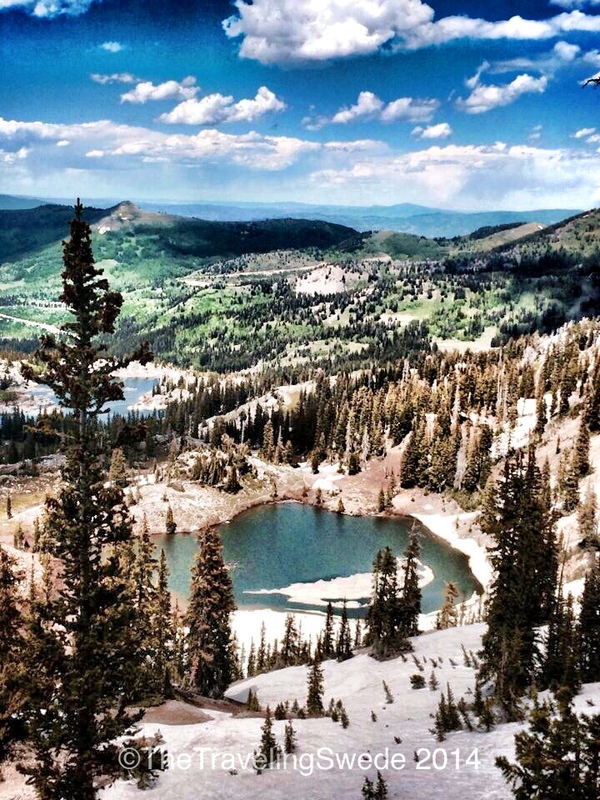 I hope you enjoyed my hike to Sunset Peak in Utah! 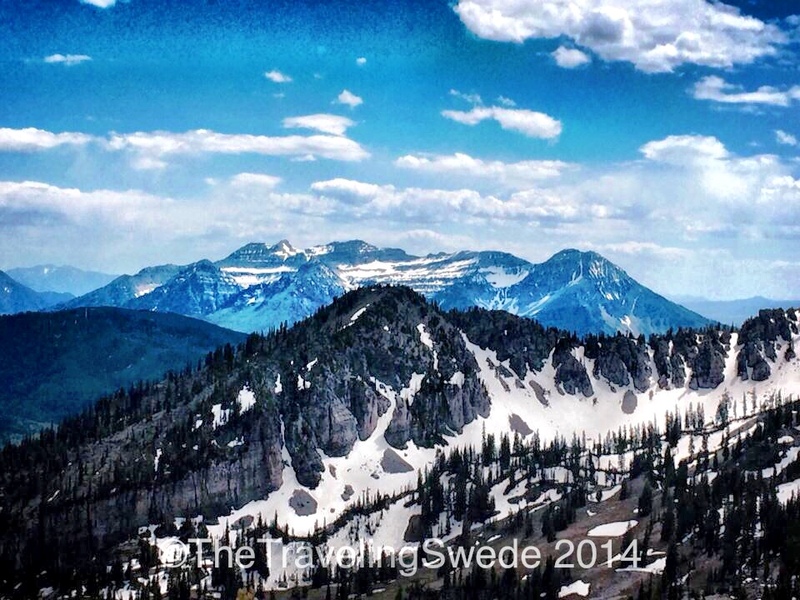 wow – what an incredible place to hike! looks like you’re having lots of adventures and dreams!